Recently Jennifer Lopez and One Direction have been photo’d having a good time on the beach. 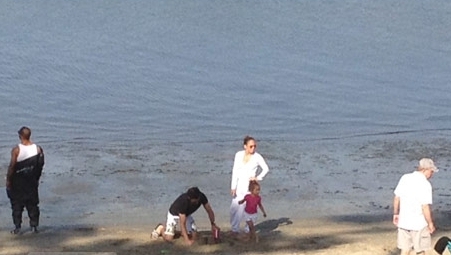 Its reported the JLo spent almost $1000 to get her own portion of an L.A. public beach for her family and friends. One Direction’s, Liam Payne and Harry Styles went out for a swim in Sydney, Australia. Check out photos below!